Deputy chair of Democratic National Committee Keith Ellison warns President Trump against recognizing Jerusalem as Israel's capital. A top Democrat warned President Donald Trump against recognizing Jerusalem as Israel’s capital Monday night, calling the expected declaration “a horrible tragedy”. President Donald Trump is poised to issue a major statement on US policy vis-à-vis Jerusalem, numerous reports citing senior US officials claim, with either an announcement on the relocation of the US embassy to Jerusalem, or formal recognition of Jerusalem as Israel’s capital city expected. While White House officials have remained mum on the issue, with the president’s son-in-law and senior advisor Jared Kushner claiming the president remains undecided on the issue, senior US officials have told various Israel and American news outlets that Trump is likely to announce the policy change this week. The expected announcement has drawn criticism from bureaucrats at home and leaders abroad, with France’s Emmanuel Macron expressing ‘concern’ after a telephone conversation with Trump on the issue. On Monday, Democratic National Committee deputy chief and Minnesota congressman Keith Ellison also expressed opposition to the possible announcement on Jerusalem, calling it a “horrible tragedy”. "This unilateral departure from that is really upsetting the idea that we're going to have a negotiated settlement," Ellison said. "It is something simply that will delay peace and make it much more difficult to obtain peace in the Middle East, and it is another dramatic departure from diplomacy, from negotiated settlements. It's just Trump stomping all over what we've been trying to do as a nation to foster a negotiated two-state solution for many, many years. So it's really a horrible tragedy." 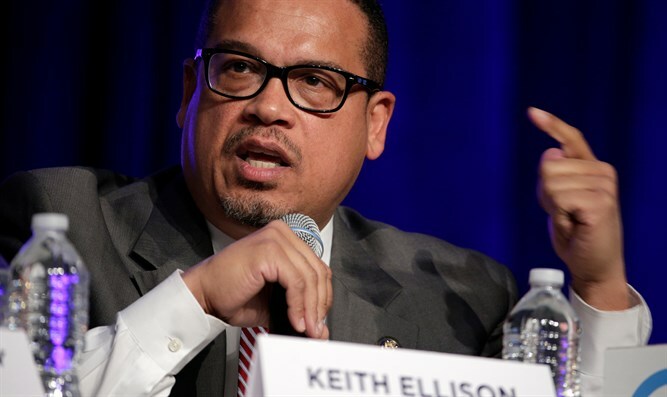 Ellison, who in the past expressed support for Nation of Islam leader and black supremacist Louis Farrakhan, denied claims of anti-Semitism last year when he ran for the DNC’s top post. A video recording of Ellison claiming that American Jews dictate US foreign policy drew criticism from the ADL, which called the comments “disqualifying”.